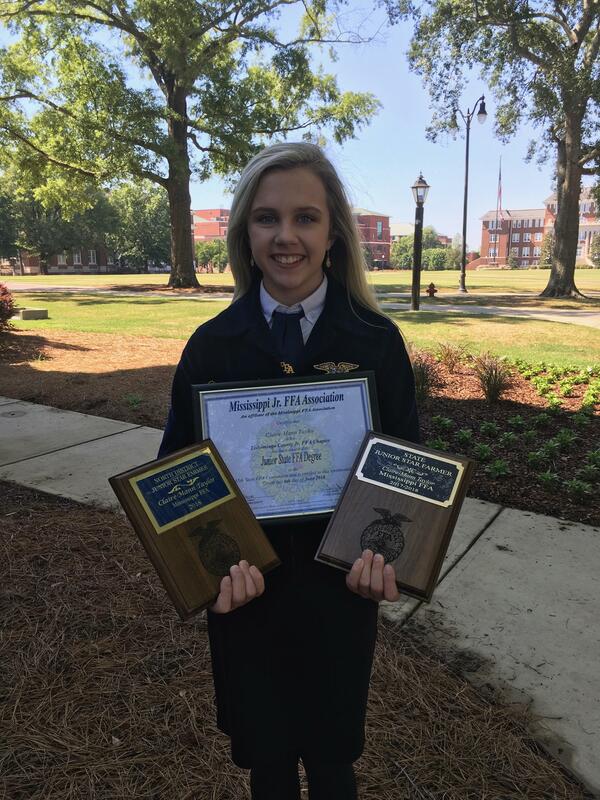 Maliyah Myrick, a member of the TCCTC FFA Chapter, took top honors in the Senior Employment Skills career development event at the 2018 MS FFA State Convention. This competion is an individual event that requires the participant to complete all of the processes of applying for, interviewing for, and accepting a job. Maliyah completed a cover letter, resume, job application, panel interview, one-on-one interviews, follow up correspondence, and telephone job offer to be named state champion in this event. Maliyah will advance to the National FFA Convention to compete in Indianapolis,Indiana in October. 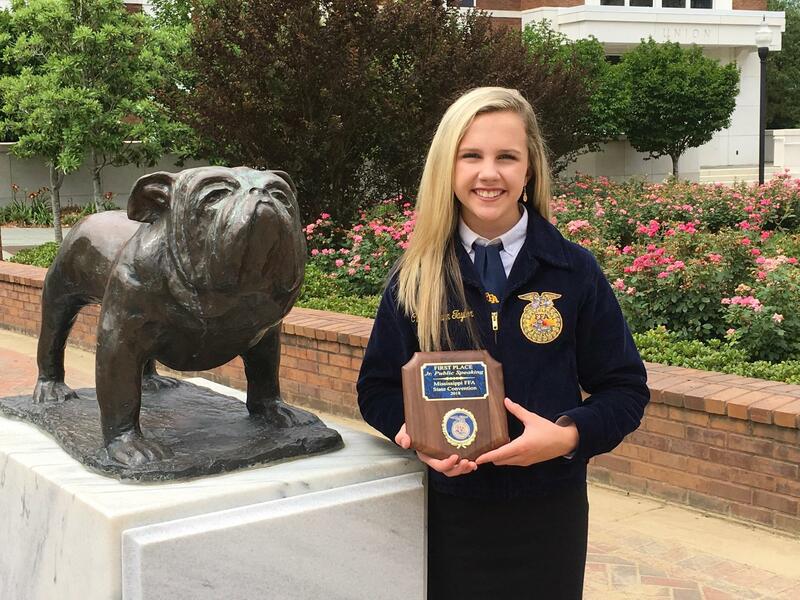 Claire-Mann Taylor, a member of the TCCTC FFA Chapter, was awarded first place honors in the Junior Prepared Public Speaking competition at the 2018 MS FFA State Convention. Claire-Mann presented her prepared speech on the topic of aerial drones in agriculture. 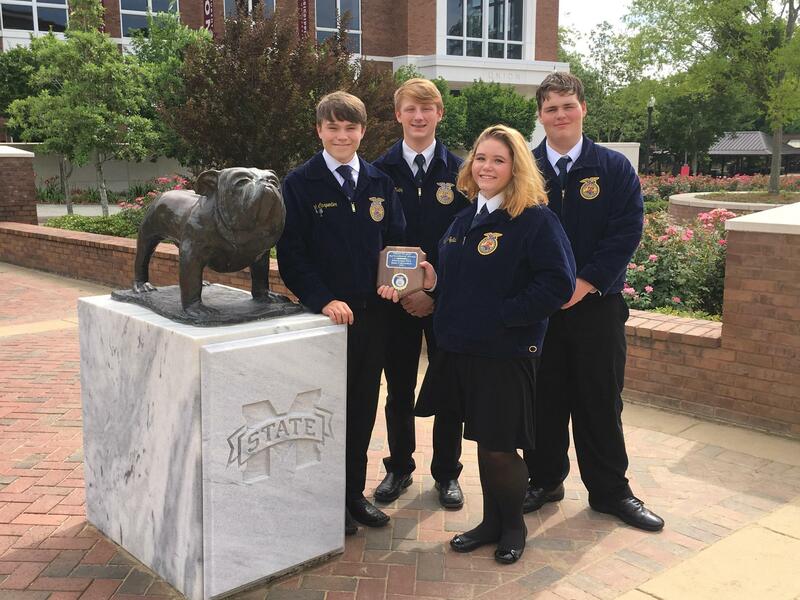 This team of four TCCTC FFA Chapter members was awarded first place in the Ag Issues Forum career development event at the 2018 MS FFA State Convention. This competition required the team to present a forum to a panel of judges on an issue related to agriculture. The team developed a first place winning presentation on the topic of Lab-Cultured Proteins. 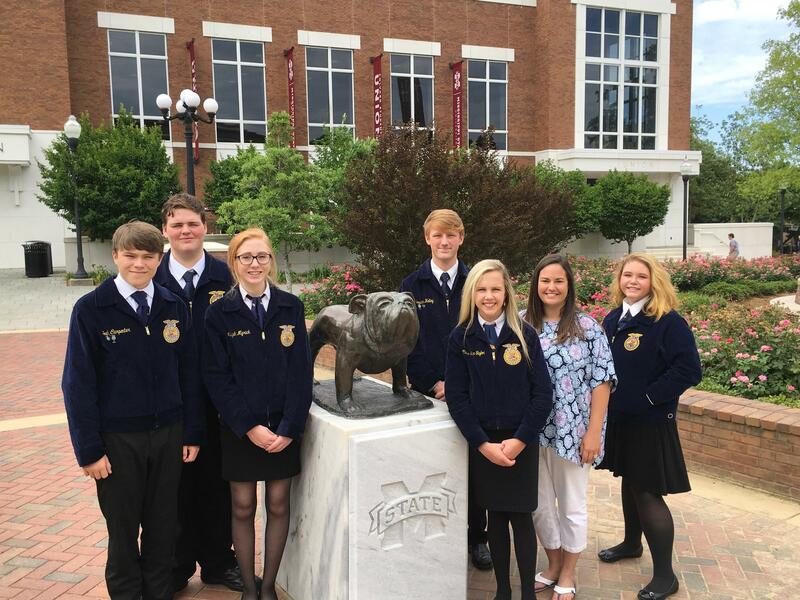 The team will advance to the National FFA Convention to compete in Indianapolis,Indiana in October. Team members include Noah Carpenter, Jordan Kelley, Savanna Balentine, and Jake Evans. Claire-Mann Taylor, member of the TCCTC FFA Chapter, was awarded big honors at the 2018 MS FFA State Convention. 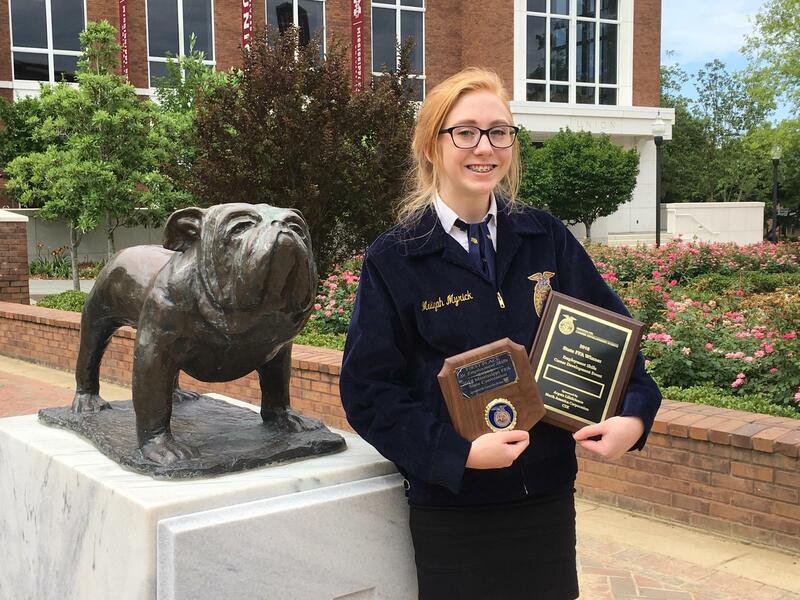 Claire-Mann was awarded her Junior FFA State Degree, an honor which requires a great deal of time and dedication to her Supervised Agricultural Experience (SAE). Based on her SAE project, participation, awards, and community service, Claire-Mann was named North District FFA Junior Star Farmer. She was then named Mississippi FFA Junior Star Farmer for the 2017-2018 year.